Dakota Sandstone, Artic and Indic are just some of the new designs from the firm in floor tiles and wall tiles. Warm tones and the purity of white make it possible to increase the space depth by providing it with greater brightness and balance. 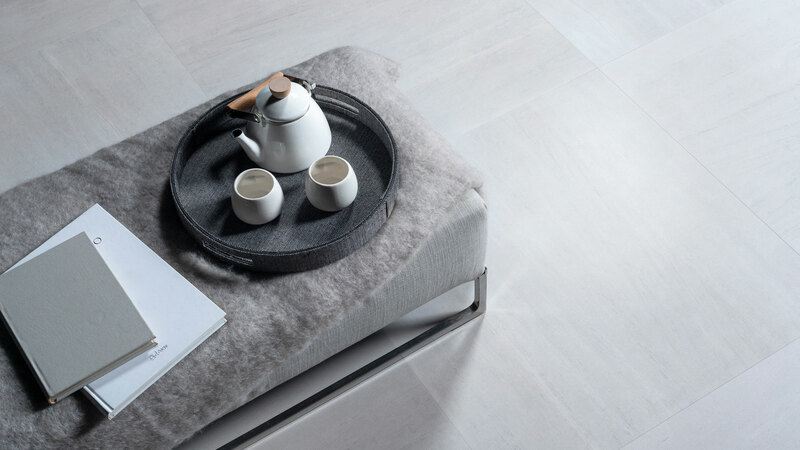 Natural processes which take place in quarries or deserts have been very helpful for Venis as a source of inspiration for its three new floor tile and wall tile collections. Dakota Sandstone, Artic and Indic are the latest designs which will be presented by the firm at the 26th Global Architecture & Interior Design International Exhibition by the PORCELANOSA Grupo. The reddish tones of sandstone are portrayed in Dakota Sandstone. This highly-resistant ceramic collection reproduces the tough uniform look of stone with some warm colours which remind us of desert dunes. 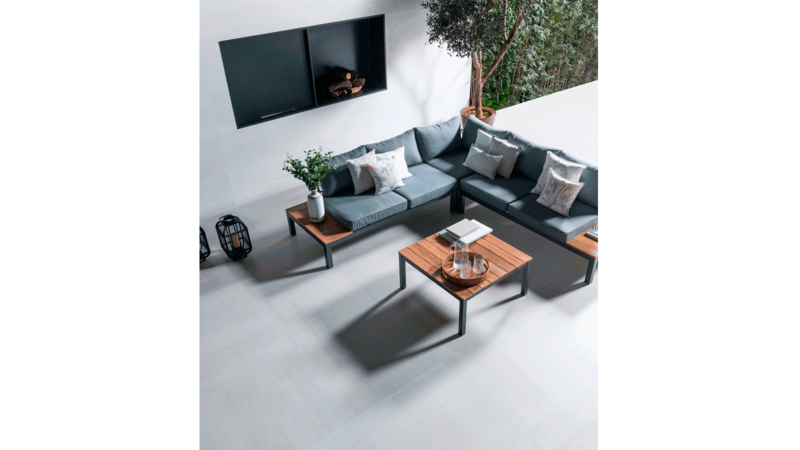 Thought up for indoor and outdoor spaces alike, the format of these pieces is 59.6cmx59.6cm and 80cmx80cm for floor tiles and 45cmx120cm for wall tiles. Its colour range: White, Gray and Beige; balance the different elements, as well as unifying criterion through the brightness of its veining. Rocky and sedimentary harmony. All of these decorative options are complemented with the following decor: Deco Old Dakota and Deco Lines in the following colours: White, Gray and Beige, which give the space continuity through their lines, which are thin and parallel. The impressive solemnity of ancient marble defines Indic and Artic, the new marble collections from the firm. The former focuses its shade variation on the Breccia marble and also favours different decorative types at the same level. 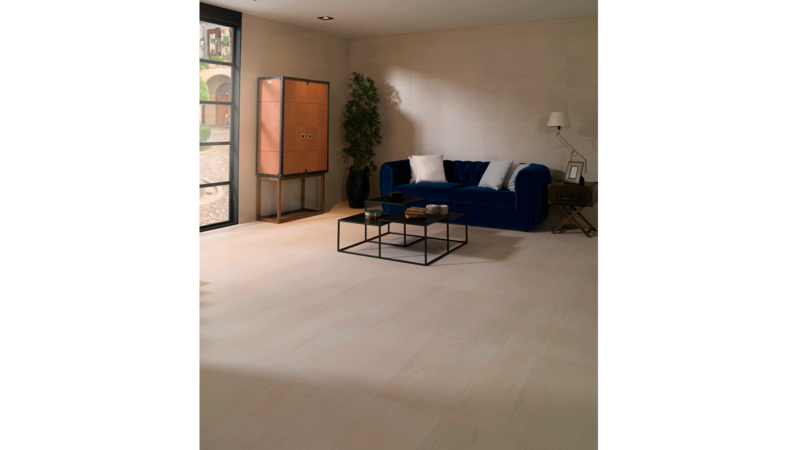 The floor tile has been designed with an 80cmx80cm and 59.6cmx59.6cm format, whereas for the wall tile, the format is 45cmx120cm. A sculptural touch for housings with a museum character. Artic offers its white from Carrara and presents its two wall tile decorations: Deco Infinito Artic and Deco Cubik Artic. In both of them, the base and decoration are joined in the same structure through straight lines and three-dimensional patterns. Renaissance geometry.